Wow, what an amazing little book. This is the 23rd book by Chris d'Lacey that I have read in just over a year. It is also about the 10th I have read with my children. When the package arrived in the mail, my son asked what it was. When I said a book by Chris d'Lacey he was excited, when we opened it he flipped yelling "another blue banana's book, a blue banana's book!" He was pretty pumped. That night we had interviews at school and while visiting the library he mentioned it and the librarian said her old school had all the banana books. So now we are on a quest to not only track down Chris d'Lacey's older out of print books but also the others in the red, yellow or blue banana collections. It was interesting when prepping the review for this book I have found five separate editions of this book from three different publishers. And currently only the Library binding is listed as till in print. 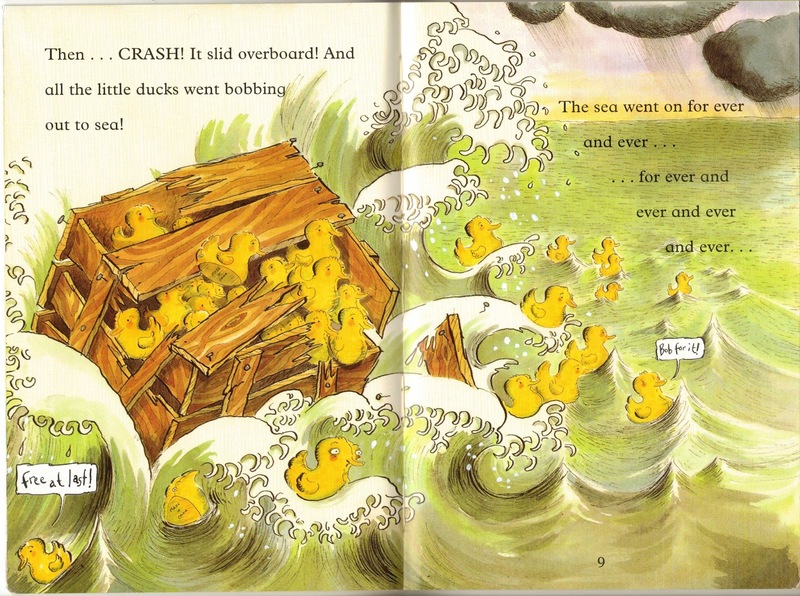 This book is based upon a true story, the story of a shipment of rubber ducks that was lost at sea. 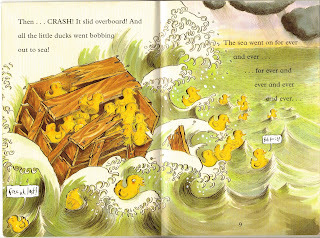 And then the duck's started showing up all around the world. 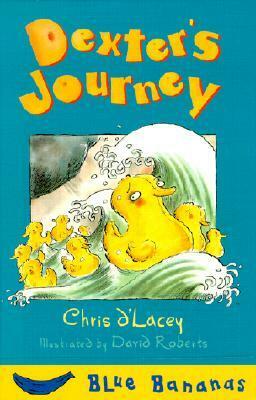 In this book d'Lacey follows one of the raft of ducks. And as the group is slowly split up the further and further they go. Following Dexter as some are captured by birds and flown to cliffs, other are caught in fishing nets, some captured by Inuit while ice fishing. Until Dexter is floating all alone in the middle of the ocean. You will not believe how Dexter finally finds a home. But to do so you will need to track down the book and read it. 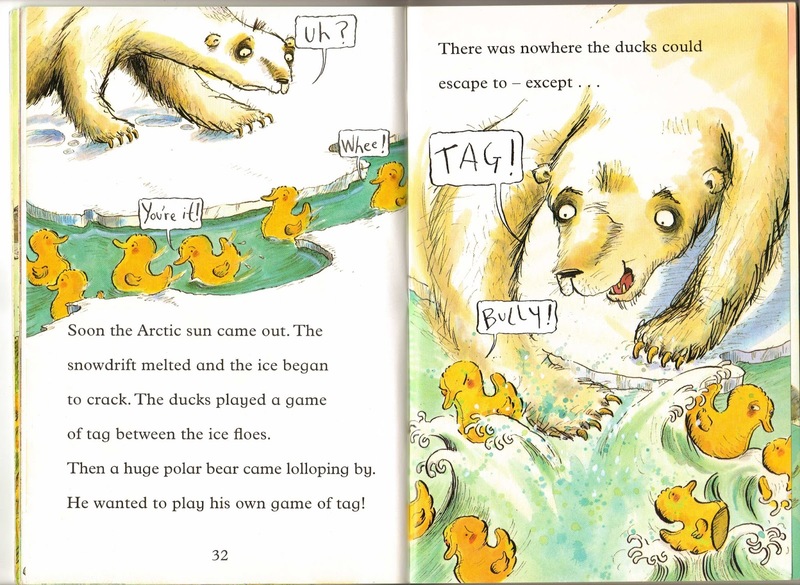 This book is illustrated by David Roberts, the illustrations are similar to some of the other Blue Banana's books we have read but have a unique flair. 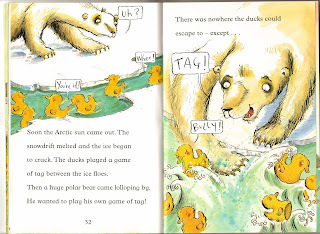 My son loved going over these illustrations. We read the book twice back to back after opening the envelope and have since read it a few more times. Always pausing to go over the pictures. We loved this book so much we have already ordered another copy to donate to our school library. This is an awesome book by an incredible author and part of an excellent series of books for young readers. They are well worth tracking down but it would be great to see them back in print as either physical or ebooks! 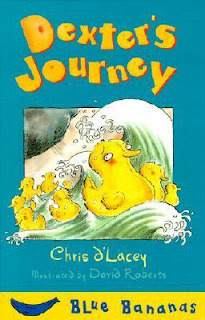 Thank you Chris d'Lacey for another book my children and I love reading together!